Mexican soldiers actually saw the battle in World War II. In fact, Mexicans formed the so-called "Mexican Expeditionary Air Force" (Fuerza Aérea Mexicana Expedicionaria - FAEM) which aided the Allies with their planes. On this day in 1942, Mexico declared war on the Axis powers. It happened after German submarines attacked Mexican tankers Potrero del Llano and Faja de Oro, which had been carrying oil to the United States. Specifically, the tanker Potrero del Llano was sunk by the German submarine U-564, and Faja de Oro by the submarine U-106. It seems that, in both these cases, it was an error on part of the captains of the German U-boats, who did not recognize that those were neutral ships under the Mexican flag. So the captain of U-564 reportedly mistook the Mexican flag for an Italian one (they are actually very similar, with a red, white and green). Since he concluded that an Italian ship cannot be located in this part of the world, he torpedoed her, assuming that the flag is false. It is little known that the Mexican soldiers actually saw battle in World War II. 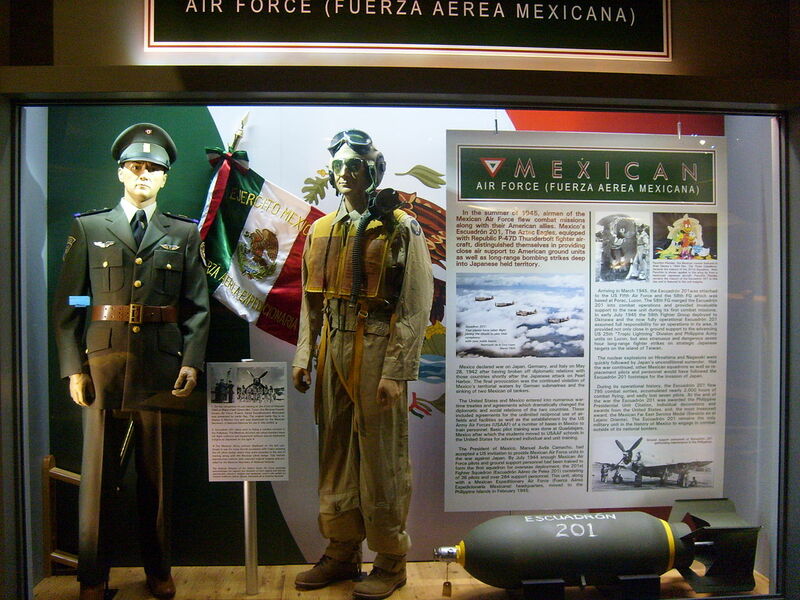 In fact, Mexicans formed the so-called “Mexican Expeditionary Air Force” (Fuerza Aérea Mexicana Expedicionaria – FAEM) which fought in 58th Fighter Group within the United States Army Air Forces. Probably the greatest contribution to the Allied victory Mexico gave through about 300,000 Mexican nationals who went to the USA during World War II to work in factories oriented towards war production.